You will also need to download the CoFHCore patch. When i try to use Sphax Thermal Foundation 64x patch it crashes my game with the following error..
No idea. I can only the guess the mod is doing something stupid. HanFox - Thanks for doing what you do. I really enjoy all the patches (especially WIP) in the forums. Any chance we can get connected textures for the (non-ore) blocks in Thermal Foundation? I was hoping to see the mana infused blocks (mithril blocks) connect like sphax gold blocks. 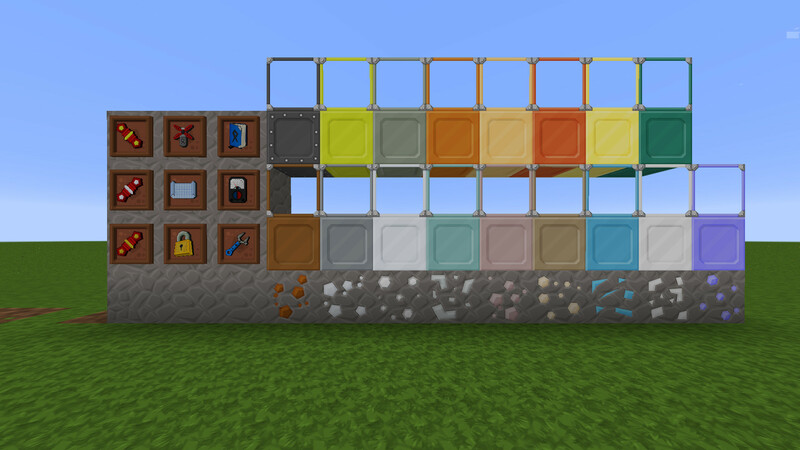 Maybe have the other blocks connect some like gold blocks and some like iron blocks. I really have no idea how to make the connected textures (for optifine on 1.7.10). I'm not sure connected textures support for mods is possible. I could be wrong, but if Optifine does it I've never seen it said anywhere. Just moved the Invar from TE to here. Other metal tools will come later. For the most part just some simple recolours. Thought I'd update this to fix the new blaze powder over write issue that's been annoying my Agraian Skies world. I take no credit for this apart from recoloring stuff that Han and Sphax have done. Han, if you want me to change anything let me know.